Dave On Dave Action, Coming Soon. I'm delighted to announce that my new series, Modern Life Is Goodish, will be on the telly soon. It launches on DAVE on Tuesday, September 17th at 10pm and runs in that slot for six weeks. I hope you'll be able to tune in. 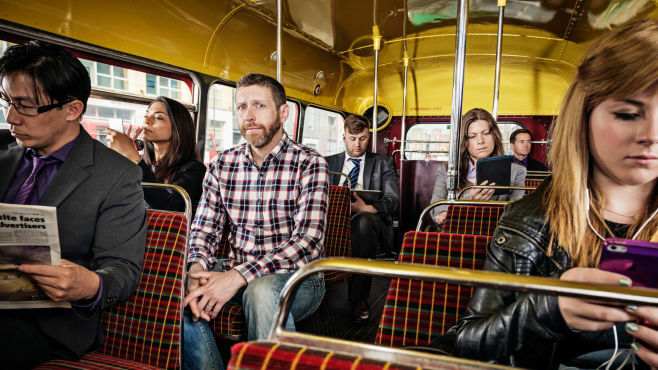 Dave Gorman thinks modern life is good...ish. However, tired of endlessly being sold stuff he doesn't need, feeling manipulated by the media and harassed by technology, he’s become slightly obsessive about the 'ish'. But instead of letting it drive him mad he's decided to fight back. A bit. Sort of. Ish. So he’ll be sharing his observations and venting his frustrations in six mischievous shows for Dave. Presented using his own unique blend of stand-up and documentary comedy, expect a whole new take on the things we normally take for granted. Whether it’s idiocy on the internet, ill-thought-out technological solutions, unquestioned advertising logic, online ‘news’, one-click agreements to pages of terms and conditions, the cult of celebrity, Lord Sugar, the new Blister Pack Economy, or even (somewhat distressingly) discovering exactly where on the A-Z lists of fame he resides, Dave does what we don't: he stops and actually looks at things. And asks questions. And judging by some of the things he discovers, perhaps the people churning this stuff out ought to stop and look at what they're doing from time to time too. Because there's a hell of a lot of it that makes no sense at all. The new series is loosely based on Dave Gorman’s internationally critically acclaimed live show, Powerpoint Presentation, which went on a three-time-extended nationwide tour of the UK including multiple London dates at the Hammersmith Apollo and the Queen Elizabeth Hall at the Southbank Centre. Join Dave, on Dave, for a journey of intellectual curiosity and a healthy amount of humour as he holds up a mirror to the countless questionable things we’re all exposed to but just seem to accept as ok.